Another wine spot to signal to Moscow expatriates and travellers is a wine bar named Grand Cru. Grand Cru is located on Malya Bronnaya near the Pushkinskaya metro station, it opened 3 years ago and offers a very large selection of wines to local amateurs. This place has several visit cards : it is a wine bar (vinnyi bar), a wine shop (Vinoteka) and a restaurant. It’s full every evening and you better either come before the rush to have a glass, or reserve and call (there’s a counter too for a quick glass or to wait). Tables & cellar at Grand Cru The architecture of this wine bar is original : there’s the room in the middle with the tables seating only 20 people, the counter in the back, parallel with the street, and on both sides of the room, perpendicular with the street, you find two walls stocked with bottles and lightly separated from the room by curtains. In fact, when you walk in from the street, you first pass along one of these cellar walls before entering the bar. As this place is also a wine shop, it allows the prospective buyer to make his/her choice by picking bottles on the shelves without disturbing the dining room. Alexander Khatiashvili, one the men behind the Grand Cru, says that they chose not to include vodka in their selection, which is rather unique in Moscow, this excludes the traditional Russian clients who would just walk in for a bottle of vodka. Here, the customer is well travelled and developped a European taste on the field of wine as well as on gastronomy. On the price question, he says that they try here to be moderate, adding a mere 40% or 50% on the wholesale price when elsewhere it's often 3 or 4 times. Hi-tech serving machine Grand Cru has a selection of 16 to 20 wines by the glass for reds, and 10 for whites, with rates going from 200 Rbs to 2000 Rbs (100 Roubles make 2,5 €). Here is the wine-by-the-glass page, you click on a region's name and you get the wines with the volume (counted in grams like they use to in Russia (150 grams generally) and the rate next to it. By the bottle, the choice is somewhere between 500 and 600 references coming from the old world (France, Spain, Italy, Austria, Germany, Hungary) and the new world (U.S., Argentina, Argentina, New Zealand, South Africa...). Asked if there were Russian wines in the selection, Alexander Khatiashvili said no, there weren't yet russian wines that could compete in terms of quality with what the amateur of fine wines is looking for. Grand Cru is also a restaurant, but you can just order a glass or have a bottle with friends. 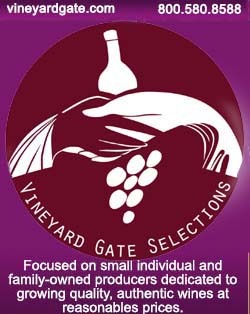 Many of the customers here are long-time clients who work or live in the area and appreciate good wines. Street view of the Moscow wine bar We dropped in Grand Cru unannounced before the evening rush, the room was empty and we could speak quietly with sommelier Vitali Shangin who kindly poured us a glass of Italian sparkling. Grand Cru's mother company Simple Wine, the wine-distribution/import company, is managed by a young businessman named Maxim Kashirin. Simple Wine also launched a magazine named Simple Wine News. I got a copy of the september issue : nice, richly-illustrated glossy magazine with an interview of Michel Rolland, an article on Trimbach (cover page), an article about corks, Chefs interviews with recipes, Moscow restaurants tips, French wineries profiles, among others. Ivan & Serguey Berezutskiy On the food side, there’s a menu with for example soup at 420 Rbs (100 Roubles make 2,5 €), Pasta at 730 Rbs. Small assortment plates cost between 160 & 550 Rbs and main courses go from 840 to 1300 Rbs. The Chef is a Spaniard named Ardian Ketglas but the funny thing with the two Grand Cru wine bars is that two siblings work in the kitchens, one in Moscow, the other in Saint Petersburg. Both of them, Ivan & Serguei Berezutskiy happened to be together in the Moscow venue when we walked in. Here is an interesting interview of Maxim Kashirin who is one of the owners of Grand Cru and Simple Wine : he debates about the challenging wine-import laws and taxes in Russia. The page was founnd on Wine Report Russia, a website directed by Anton Moiseenko. Grand CruМалая Бронная 22Malaya Bronnaya ulitsa 22phone +7 495 510-6565Metro PushkinskayaMap of the close area Moscow map with Grand Cru wine shops Street scene close to the bar - a vintage Volga M21 Another tip for Moscow residents or expats looking for a good, original and affordable place to eat in this city. The restaurant is almost confidential, there’s no sign on the street, just the windows through which you can see inside. The name of the place is Mari Vanna (мари ванна), there’s not even the address on their visit card but I’ll betray the secrecy of the venue for my readers, it’s not far from Grand Cru, on a street named Spiridonievskii ulitsa (Спиридоньевский пер), almost on the other side from a pharmacy (Apteka). The group behind this place is Ginza Project (Pdf presentation of Ginza Project), it is a leading restaurant holding specialized in conceptual restaurants, mainly in St Petersburg & Moscow. It has 23 restaurants, all with a different style, but many seem more mainstream and conventional although I spotted this other one with a funny name : Sorry Babouchka, a venue that I doubt Russian babouchkas (the generic Russian nickname for grandmas) are familiar with.... This one (Mari Vanna) has sort of reproduced the ambiance of a cosy soviet appartment of the 1960s’ complete with TV set with black-and-white programs, décalé furniture and so on. Very good service and the feel to be home. I didn’t shoot pictures there so that you can have the surprise (or you can see some corners of your soviet appartment here if you click on the framed pictures). You must ring at the door, there’s some kind of filtering of the customers (you don’t walk into a private appartment like that). They have a Mari Vanna in N.Y. too.